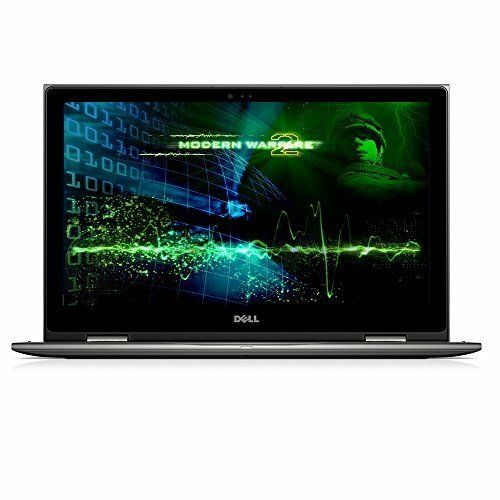 Purchase 2017 Dell Business Flagship 15.6″ FHD Touchscreen Laptop PC Intel i7-7500U Processor 16GB DDR4 RAM 1TB HDD AMD Radeon R7 Graphics Backlit-Keyboard DVD-RW HDMI 802.11AC Webcam Windows 10-Gray at Discounted Prices ✓ FREE DELIVERY possible on eligible purchases. Powerful 7th generation Intel Core i7-7500u processor Faster than ever, the 7th Gen Intel Core i7 delivers striking visuals, extended battery life, and higher data transfer rates. 15.6 inch Full HD LED touchscreen (1920 x 1080), 10-finger multi-touch support. Brilliant Full HD TrueLife display Dell TrueLife displays deliver darker blacks and colors that pop for vivid graphics and video, perfect for games, movies, and photos. Discrete AMD Radeon graphics Work faster and play harder with AMD Radeon R7 M445 graphics and 4GB of VRAM. Games and multimedia run smoother, while advanced power management ensures efficient system performance. Window 10 operating system. Studio-quality sound Whether you're mixing or streaming, Waves MaxxAudio Pro delivers immersive sound full of clear highs, enhanced bass, and increased volume.